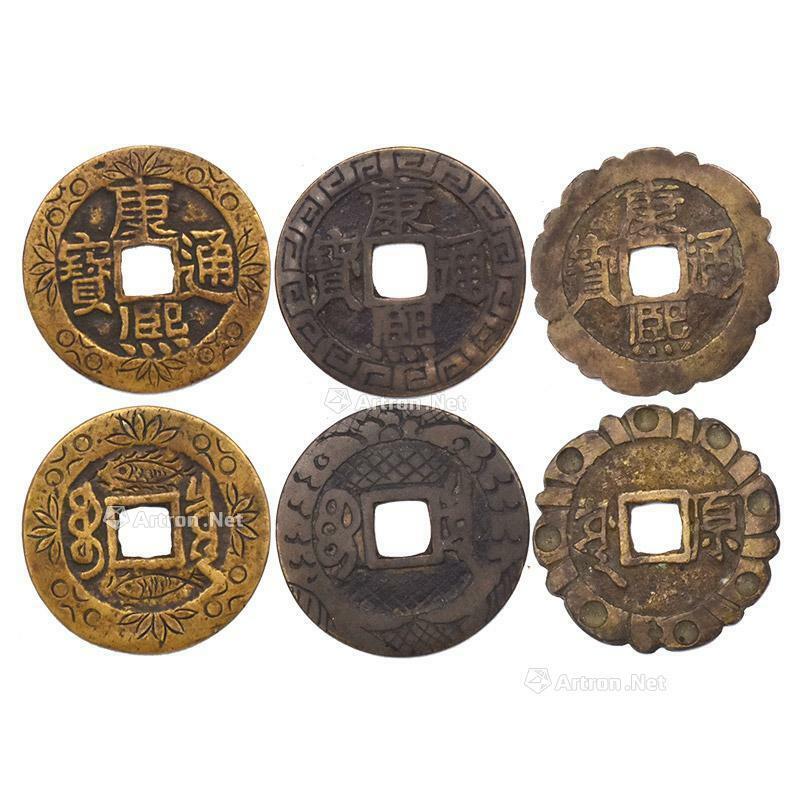 This group of Kangxi Tongbao spends money，which is a foreign product of the money “Kangxi Tongbao” made during the reign of Kangxi. The collection is exquisitely sculpted，with deep fonts，regular structure，whole pattern wrapped around the body，carved “Koi carp” on the back and bottom，and exquisitely cast. The lines of the collection are thick and thin，rough if they contain the power of thunder and thunder，and the details are like Jiaolong Yousi. Because of its fine copper quality and exquisite production，it is a royal household goods，very noble. History is of great value.